If you were around in the 90's I am sure that you have heard ‘Losing My Religion' by R.E.M. and if you weren't, may I suggest you give it a listen. 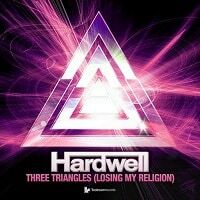 Hardwell has released ‘Three Triangles' which is his own take on the classic R.E.M. track. I am always amazed at what Harwell produces, he knows exactly what to produce and when. This track is like the perfect storm, Hardwell's award-winning DJ skills and one of the most instantly recognizable vocals of our time. I think that this track will draw new people into the EDM world. You will hear this track being played this summer, everywhere… and everyone will be singing along.